Super Clean!! 1-Owner 2013 Chevrolet Silverado 2500HD LTZ Crew Cab 4WD with the powerful and reliable 6.6L Duramax, Allison automatic transmission, power adjustable front seats, heated leather, tow-package, a 5 year 100k mile drive train warranty, a clean 1-Owner Carfax and 174k miles. 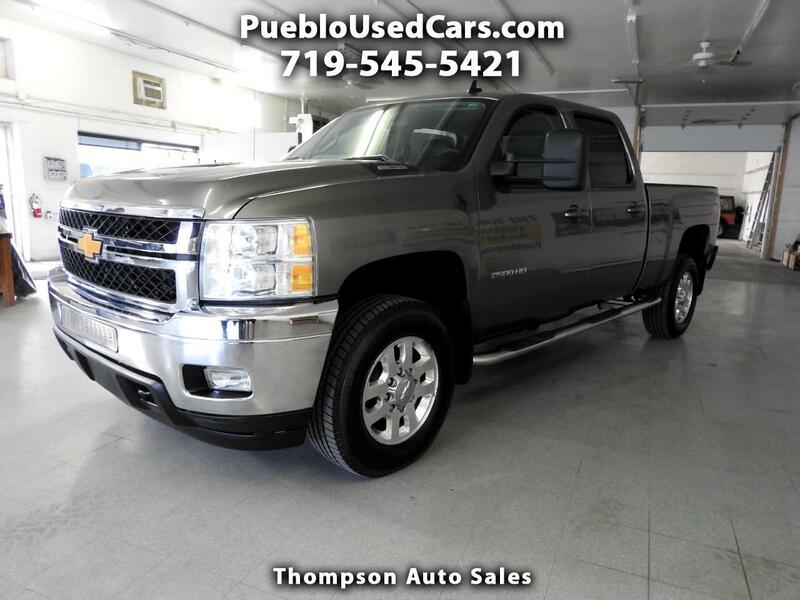 You can view over 80 photos of this 2013 Chevrolet Silverado 2500HD LTZ Crew Cab 4WD on our website at PuebloUsedCars.com. The interior of this 3/4-ton truck is leather and in great shape and all of the power options work properly. The exterior of the truck is in excellent shape. If you want a sharp, strong running 3/4-ton truck at a price that won't break the bank this 2013 Chevrolet Silverado 2500HD LTZ Crew Cab 4WD will not disappoint. Give us a call with any questions at 719-545-5421 or stop down and see us in person at Thompson Auto Sales - 525 W 5th St in Pueblo, CO.